The country of Ailan is in chaos. The resistance have been exposed for the redundant force they are. The legions’ loyalties are split and Randall’s burning desire for murder is pushing him to the brink of madness. Aided by an uneasy collection of allies, Ray Franklin stages a final stand against his brother. A father makes the ultimate sacrifice for his family. Long dead ghosts prove to be living legends. And within this chaos, a lover has a final chance to redress a lifetime of mistakes. 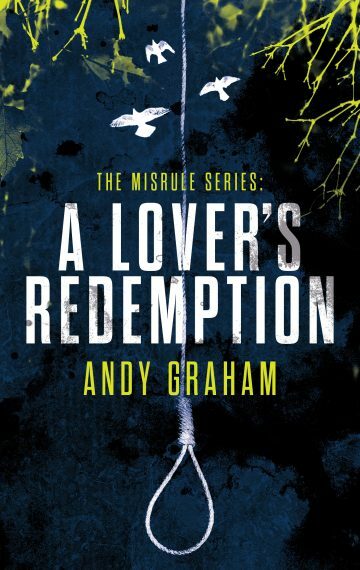 Set in a future based on our 21st century, A Lover’s Redemption is the exciting conclusion to The Misrule. Part political thriller, part dystopian fiction, part scifi action novel, it is a dark, morally ambiguous tale from British author Andy Graham. Will Randall Soulier get the death he needs or will the lover be redeemed? Download now to find out.